Each year Americans start one million new businesses, nearly 80 percent of which fail within the first five years. Under such pressure to stay alive - Let alone grow - it’s easy for entrepreneurs to get caught up in a never-ending cycle of “sell it - do it, sell it - do it” that leaves them exhausted, frustrated, and unable to get ahead no matter how hard they try. 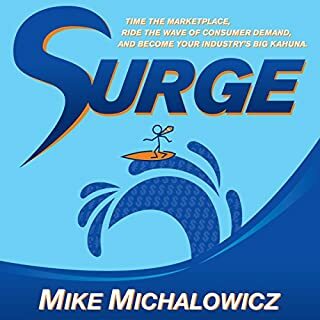 This is the exact situation Mike Michalowicz found himself in when he was trying to grow his first company. Although it was making steady money, there was never very much left over and he was chasing customers left and right, putting in twenty-eight-hour days, eight days a week. The punishing grind never let up. His company was alive but stunted, and he was barely breathing. That’s when he discovered an unlikely source of inspiration - pumpkin farmers. After reading an article about a local farmer who had dedicated his life to growing giant pump­kins, Michalowicz realized the same process could apply to growing a business. He tested the Pumpkin Plan on his own company and transformed it into a remarkable, multimillion-dollar industry leader. First he did it for himself. Then for others. And now you. So what is the Pumpkin Plan? The ideas outlined in the book are relevant to today's business environment and simple enough for any business to use. 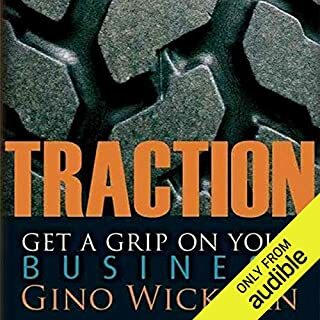 This book is amazing, what an interesting and easy way to explain how you can grow a business. Loved it. Awesome book if you can get past the narration. What did you like most about The Pumpkin Plan? A fantastic analogy and interesting / fresh presentation of fundamental business growth strategies. 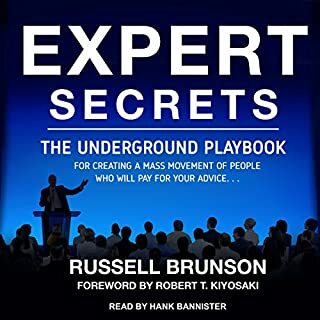 This is a gold mine of good info, whether you think you know it all or not, it can't hurt to get a reminder. The analogy of pumpkin farming is interesting and simple to understand. Bang on. I found the narration to be overly distracting. Nobody needs a hyper-emotive Kermit the Frog adding condescending fluff into a book with such solid foundations. Sorry, Michael. Stick to writing and leave the narration to the pro's. Lots of helpful info. If you can't find a nugget in this you're a lost cause. I cringed at the narration too many times to count. 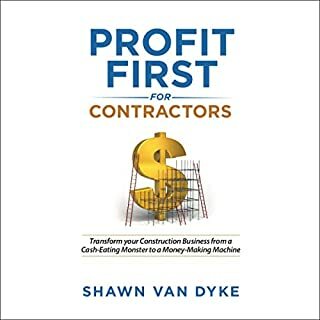 Any business owner should be able to find some value in this book. Well worth a listen / read. Great content overall. I've listened to many many business books. This one was great and very relatable. The topics mentioned are actionable and realistic. I can't wait to put it all into action. I love Mike's style of delivery, and format. Easy to take in. Just need to get the text book to lay it out to help implement. Can I get a PDF version Mike? Enjoyed it, only covers a certain element of business I.e. getting clear on value business proposition. identifying market opportunities. Add to the pile. It's no quality knowledge that is worth having. The writer just wants to make money and for that he cooked up some unuseful stories . Better to read than listen. Sorry to say I didn't finish this book. I tried but the I found the narrator distracting and annoying with all his impersonating and exaggerated tones. It's a shame because the actual content is quite good. 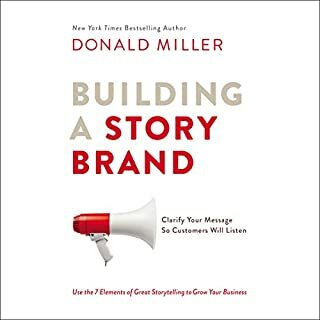 Would be better to read this book than listen to it. I've been thinking of narrowing my marketing for a while, to focus on one area and one niche of customers. This book takes it even further and shows me how to do it step by step, and WHY I need to to it. I love the "assignments." Some of them reinforce what I've already done in my business (via "Book Yourself Solid" by Michael Port) and some of them take it even further. 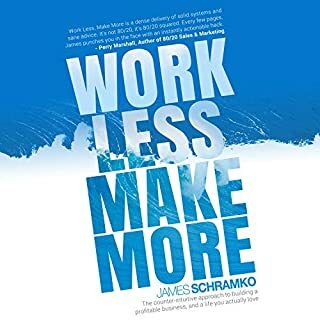 This is an excellent book and I recommend it for any solopreneur / entrepreneur who wants to really be serious about getting out of "overwhelm" and get their business on the right track. With regard to the narration, it cracked me up that he came up with a different voice for each of his client quotes. Appeals to my theater girl background. Great Job...Great Stories and Examples! Would fully recommend to anyone, I have already had two of my partners purchase and listen to it. What was one of the most memorable moments of The Pumpkin Plan? 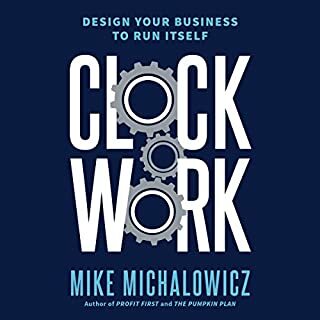 What does Mike Michalowicz bring to the story that you wouldn’t experience if you just read the book? 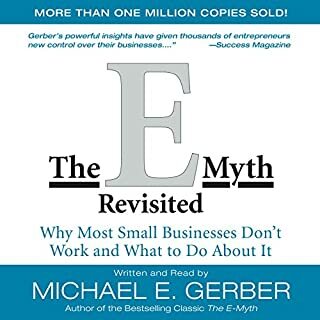 I have listened to many business books, Mike does a great job keeping you entertained and on task. Look out Walmart, here we come! Would you listen to The Pumpkin Plan again? Why? Yes. 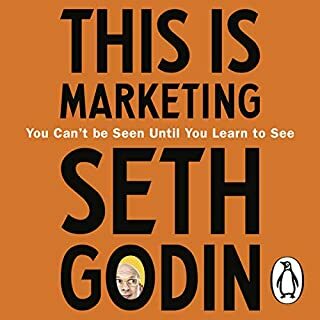 This is one of the most entertaining books that i have ever listened to or read. The author is hilarious - i would listen again just for entertainment value. 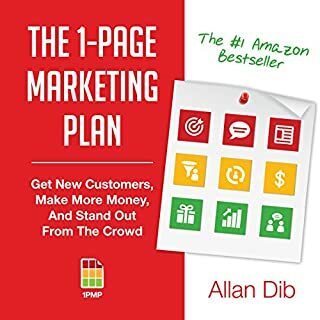 The best part are the ideas that the author has - they are excellent for anyone interested in either starting a business or developing a business plan in their current job. I would listen to another book by this author without needing to know the content. What other book might you compare The Pumpkin Plan to and why? His smooth delivery and I don't know if his humor would come across as funny in print. 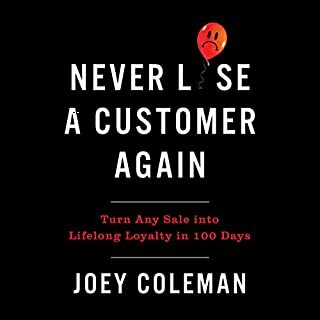 All business owners should read this! Which character – as performed by Mike Michalowicz – was your favorite? If you own a business it is really easy to say that you are focusing on your core competencies, but to actually execute on that is much more difficult. This book will help! Yes. Michael really makes his points simple and concise and then backs them up with very practical examples. He also makes it very entertaining and believable. I immediately listened to it two times in a row and will probably listen again every few months. I wished this book was around years ago. 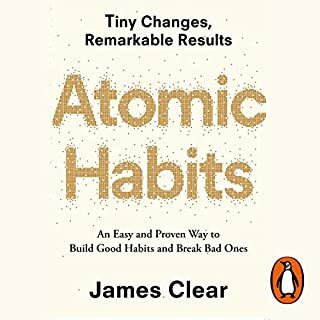 This has to be one of the top books that I have read (listened). Simple to understand, entertaining, and very practical to implement. The vendor collaboration is pure genius. I have been in the retail business over 40 years and the pumpkin plan is right on! Wish I would have followed mikes plan years ago with intention. I did have a plan though its called NEXT. But some customers and employees went away then I realized it was for the better after the fact. But I had to stomach them longer than I should have. Mike says to plan on removing them with a plan! Have no fear! Replace them with big pumpkins. Great book! Great job on the audio with mike himself. Amazing examples on how to GROW your business. 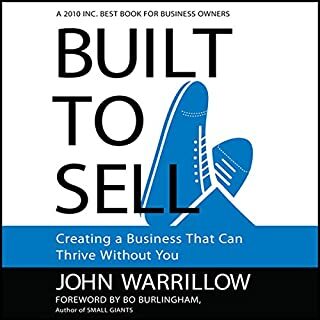 We would recommend this book for anyone in business who is looking to grow their business to the next level. Some of the advice is shocking but yet so true! You should be asking for your top clients for their vendor list instead of awkward referrals. What about Mike Michalowicz’s performance did you like? 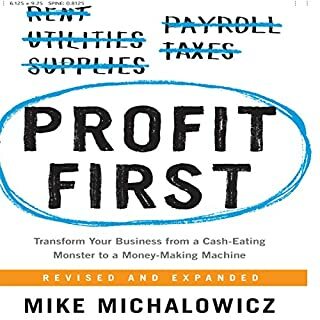 Mike has a great sense of humor and amazing advice with how to overcome many challenges business owners are faced with everyday. 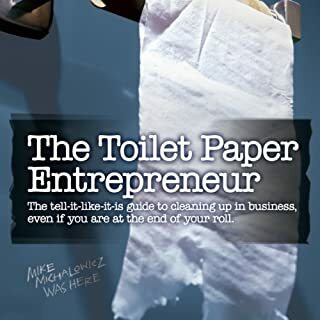 Get "The Toilet Paper Entrepreneur" on audibble / audibook format. What disappointed you about The Pumpkin Plan? 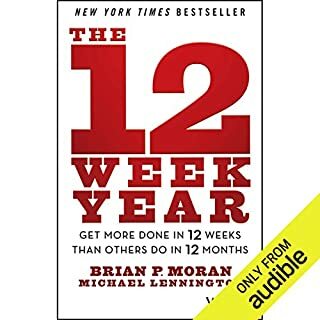 If you don't want to be "the old guy sitting on a broken lawn chair with your junk hanging out when you are old and retired" then read this book. 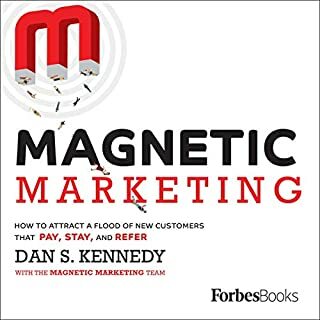 This book literally aims to keep you from being that old guy, by helping you to organize your business -and your mind- towards making your business profitable, and offers suggestions for how to target your strengths and create a customer base that is appropriate. There is a lot of useful info, and it is presented in a light, entertaining format. The author is a successful businessman, and knows what he is talking about. Narration (by author) is above average (especially for an author-read book). Mike held my attention during a 2 Mile power walk with great ideas. Thank You. Great book!! A story told by a funny, intelligent and passionate Author. Highly recommended especially if you want to succeed at business..and basically annihilate the competition!! What did you like best about The Pumpkin Plan? What did you like least? Great content - the voice effects! Would you be willing to try another one of Mike Michalowicz’s performances? 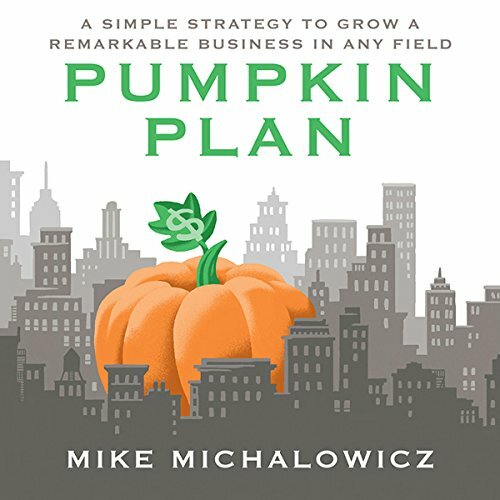 Do you think The Pumpkin Plan needs a follow-up book? Why or why not? Concept really good and the content follows through. So from a development viewpoint this is really good. Just be prepared for Shaggy from Scooby-Doo to make an appearance throughout which will land up doing your head in. Excellent executable resource for a would be enterpreneur. Clear and concise. Useful when you take action now. 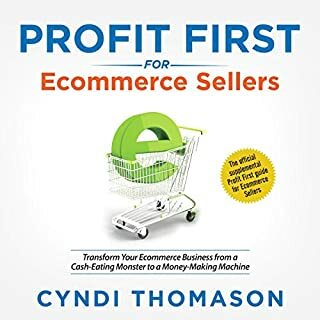 This book provides a great structure for growing an outstanding, profitable business wrapped in fun and informative stories. This book could have been or should be trimmed to about 30%. Great info and insight but way too much filler. This book was decent and had some great gems in here. I will try and use a few in my own business and hopefully his tips will work.